Image Roofing understands the importance of protecting your residential investment. That is why we offer a better product with more value than any other roofing company in the Valley. We start the process with a true and accurate cost estimate. We will alert you to any potential increases on the front end of the project, and you will be involved in any changes that must be made as the project progresses. We inspect the entire roof system, estimate the remaining life, and provide action plans to address any defects. In most cases, we can determine the source of any leaks during the first visit and attend to it quickly, saving you thousands of dollars in replacement costs. Our project manager and crew leaders will bring a knowledgeable, caring and helpful attitude to the site, ensuring that the crew’s work will be professional, courteous, and competent. Our policy is to maintain neat work areas, pick up trash, and magnetically pick up nails daily, providing a safer environment for children, pets and your neighborhood. You can feel confident that you have chosen a company that does what it says it will do, and that you will receive great value in return for that trust. The end result for you - a better looking, defect free roof that meets or exceeds current industry standards. 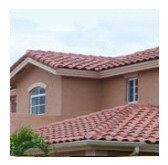 Image Roofing has been selected as a Preferred Roofer for Eagle Tile, Tamko and GAF/ELK roofing products and materials. We are designated as a GAF Master Applicator, allowing us to protect and beautify your home with North America's #1-selling shingles. Beautiful, stylish, and exceptionally durable, these shingles will make your home the envy of the neighborhood!